It’s a tough climate for savers at the moment. The super-low interest rates designed to free up lending in the economy mean that returns for savers are at historic lows. Yet, the government wants us all to do more to prepare for retirement and if you shop around you can get a decent deal. Remember, that saving while you are in debt is a losing game. If you’ve got an American Express bill, pay that off before you start saving. Debt always trumps savings. Ask yourself why you’re saving as this will effect what options are available to you. You need to consider how much you can afford to put aside – ideally regularly – and for how long you can afford to let the money lie out of your reach. 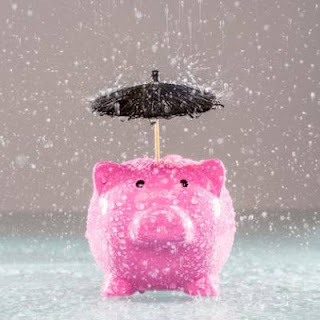 Your first savings priority should be to set up an emergency fund – an instant access account that will see you through three months if everything goes wrong with your job. If safety is your main priority then your options are limited and your returns will be smaller too. The safest way to save is with a bank or building society. The government now guarantee deposits in British banks up to £85,000. You should still shop around for the best interest rates and don’t forget to take advantage of the £5,000-plus you’re allowed to save cash free in an ISA. This amount can be used every year. Notice accounts pay a better rate because it’s harder to get your hands on your money. The notice periods are usually 30, 60 and 90 days. Many notice accounts will let you get your hands on your money instantly, but you will pay an interest penalty. A no-notice account will let you get your hands on your cash whenever you want. Some accounts though will only allow access by post, phone or online, so check what’s suitable to your situation. On-shore and off-shore accounts are UK-based or based overseas. While it’s a controversial area – it’s essentially a means of avoiding UK tax – most of our big high street banks run off-shore accounts. As its outside UK jurisdiction you won’t have UK deposit guarantees or legal protection. Make sure you check very carefully what the bank promises you. Risk gets you reward. You should always weigh up how vital it is you get your capital back. It’s not quite the same as putting all your cash on a horse, but investing and saving is a gamble. The more risk you take, the better the potential rewards. If you’re not confident with investments, consider consulting an Independent Financial Advisor. They’re not supposed to be tied to a particular company but they do get commission (although they do have to declare this) on sales and you will have to pay for their advice.